A once family owned piece of land, Pennock Landing is now a residential community built by E & H Builders in 2001. This community features 35 homes ranging in size from 1,200 to 1,800 square feet and three to four bedrooms. 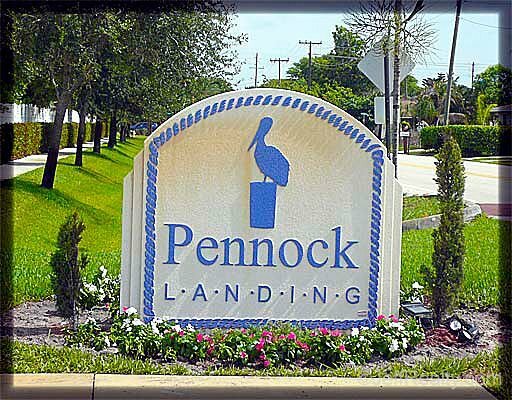 Pennock Landing is in a perfect location, being along Indiantown Road provides easy access to all of the conveniences Jupiter has to offer. Its close proximity to I-95 and the Florida Turnpike makes a quick drive to shopping, beaches, golf courses and the airport. Zoned for A rated schools. Very well maintained home located in the heart of Jupiter with easy access to the ocean and I-95. This home is situated on a huge corner lot and offers newer stainless steel appliances with a top of the line brand new stove, beautiful new laminate floors in bedrooms and tile throughout the living space.